The open marketplace for local hackers and makers. 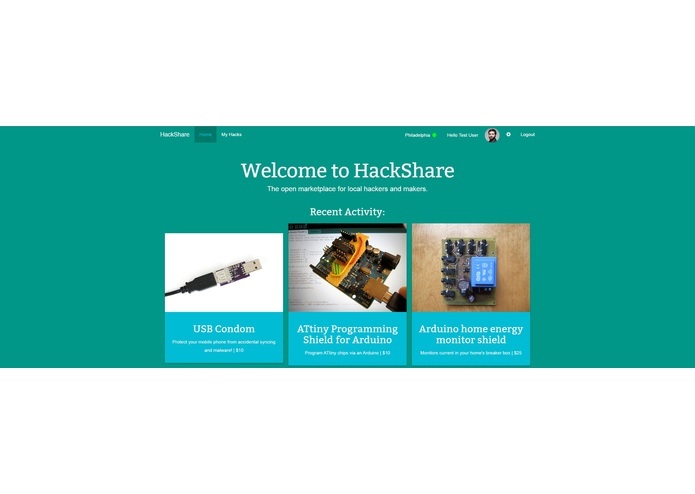 HackShare is a web platform to connect local hackers and makers with their peers. Register for an account to get started. From their, you can buy hacks and products from your fellow makers, which will be delivered to you within an hour through Postmates. You can also submit your own hacks for sale. Do you make custom Arduino shields for fun? See if other makers in your community would find them useful. Is conjuring up amplifiers and synthesizers how you spend your free time? Get some cash and appreciation for your work.